We believe in the value of open hardware platform products. Mercury Security hardware is specifically designed and manufactured for access control and leads the security industry in open platform panels. Open Options is a Mercury Platinum Elite Partner. Open Options is a value added reseller of Mercury Security, which supplies true open hardware platform panels with the most extensive feature set and the world’s largest install base with over 3 million controllers. The fact that multiple manufacturers support this hardware platform is what makes it OPEN and allows the end user a valuable CHOICE in software. What are the benefits of open platform hardware? The most obvious benefit for the customer is CHOICE. By choosing to invest in an open hardware platform, the customer is no longer tied to the product line of a single security manufacturer and now has a choice in access control software. A common hardware platform not only increases competition among platform providers, but completely eliminates the risks associated with a single-source or proprietary product. Be wary of proprietary hardware! Not all access control manufacturers carry open hardware and some carry a mix of proprietary and open panels. 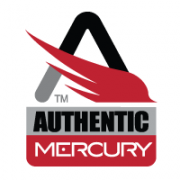 Open Options only sells Authentic Mercury OPEN PLATFORM hardware and encourages our customers to know what they are buying when it comes to their security system infrastructure. 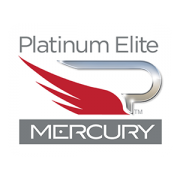 Open Options is proud to be recognized as a Mercury Platinum Elite Partner. Mercury introduced the Platinum Elite level in 2014 to distinguish those partners who have consistently demonstrated growth both economically and technologically in the access control market and open architecture solutions .